As 2016 draws to an end, we would like to thank you for your support and steadfast commitment towards advancing pro-suppressor reform across the country. As an organization that serves the interests of you, our members, it has been our pleasure to lead the fight for suppressors on both the State and Federal levels. 2016 brought many significant accomplishments, including the legalization of suppressors in Iowa, and the legalization of suppressor hunting in Michigan and New Hampshire. As we approach the New Year, we do so with excitement in anticipation of the many great things to come. With your help, 2017 will quietly go down in history as the year of the suppressor. 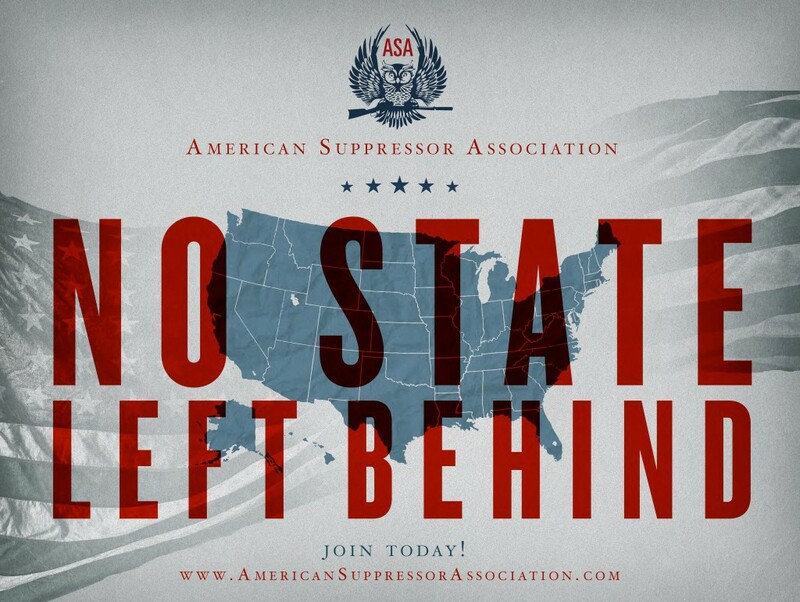 At the state level, through our No State Left Behind campaign, the American Suppressor Association will continue to focus our legislative efforts on two simple initiatives: (1) legalizing private suppressor ownership in all 50 states; and (2) expanding the ability of sportsmen and women to use suppressors while hunting in all 50 states.To meet our objective, we are working to introduce and pass pro-suppressor reform in every state where private ownership and suppressor hunting are currently prohibited. We had our first campaign victory in 2016 on February 11th, when Michigan became the 38th state to legalize hunting with suppressors following a 4-1 vote by the Michigan Natural Resources Commission. This was an initiative that we worked on for much of 2015 alongside our partners at the National Rifle Association (NRA), and the Congressional Sportsmen’s Foundation (CSF). Following our victory in Michigan, Iowa became the 42nd state to legalize suppressor ownership and the 39th to legalize hunting with a suppressor when Gov. Terry Branstad signed House File 2279 into law on March 31st. The legalization of suppressor ownership was a tremendous victory for citizens of the Hawkeye State. It was an effort three years in the making, which would not have happened without collaboration between ourselves, the Iowa Firearms Coalition (IFC), the NRA, and the thousands of Iowans who supported the legislation. On May 28th, Governor Shumlin (D) of Vermont signed H. 570 into law, which, among other things, removed the two year sunset provision that was included in the original bill legalizing suppressor ownership in the state. This makes suppressor ownership in Vermont a permanent fixture. However, Vermont is one of two states remaining where suppressor ownership is legal but hunting with a suppressor is not. Expect for that to change in 2017! The victories in New England kept coming, as on June 10th, following three years of work by an ASA led coalition, New Hampshire became the 40th state to legalize suppressor hunting. Not only was the bill signed by Gov. Maggie Hassan (D), it also passed their State Senate unanimously, highlighting the bipartisan nature of this issue. With the legalization of suppressor hunting in New Hampshire, Connecticut and Vermont are now the only states where ownership is legal but hunting is not. The ASA is working on legislation to legalize hunting in both remaining states. In Illinois, SB206, the bill to legalize suppressor ownership, is still alive and moving. SB 206 passed out of committee in late November, but has not yet received a vote on the Senate floor. There is still a possibility that it could be voted on during the “lame-duck” session on January 9th and 10th. We are doing everything that we can to ensure that it receives the vote it deserves. Rest assured that we will communicate any major developments, and that we will be reintroducing the bill in early 2017 should it not pass the Senate in the current session. In Massachusetts, the legislation to legalize suppressor ownership passed the first of two relevant committees, but was stalled and died in the second. Nonetheless, the passage of the bill by the Joint Committee on Public Safety and Homeland Security marked the first time in history that pro-suppressor reform has had any positive movement in the Bay State. We would like to thank the Gun Owner’s Action League (GOAL), and ASA sponsors YHM and Sig Sauer, for their support in advancing this legislation. We stand ready to work with them to reintroduce and pass this important legislation in Massachusetts next year! As for the remaining states, the ASA is working with partner organizations to introduce legislation to legalize suppressor ownership and hunting in Delaware, Hawaii, New Jersey, New York, and Rhode Island. We have also hosted a legislative demonstration in California, and have drafted language for a bill to legalize suppressors in the state. We are working with our lobbyist in California to introduce the bill by early February. To our friends who cannot yet own or use suppressors, do not lose hope. 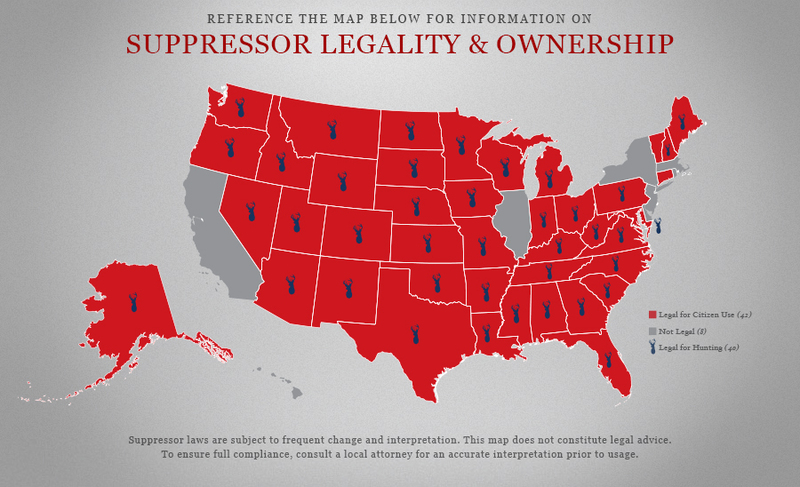 Even though it may seem like a long shot in some of these states, we refuse to give up until we have accomplished our goal of legalizing suppressor ownership and hunting in all 50 states. No State Left Behind means no state will be left behind. Since the election, the Hearing Protection Act of 2015 (HPA) (H.R.3799) has become one of the most popular pieces of legislation in the country. The intent of the HPA is to remove suppressors from the purview of the National Firearms Act (NFA), and instead require purchasers to pass an instant NICS check, the same background check that is used during the sale of long guns. 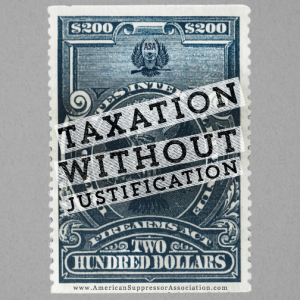 The bill also includes a provision to give a tax credit for the $200 transfer tax to applicants who purchase their suppressor after October 22, 2015. At the end of the 114th Congress, the Hearing Protection Act of 2015 has officially retired, along with its original sponsor, Rep. Matt Salmon of Arizona. The bill, which ultimately had 82 bipartisan cosponsors, will be back very soon in the next Congress. For months, the ASA has been hard at work, along with the CSF and the NRA, laying the foundation to reintroduce the bill as the Hearing Protection Act of 2017. Over 70,000 letters of support for the HPA were sent to legislators in 2016, each of which did their part to help educate lawmakers on the merits of suppressors. Once the HPA is reintroduced in January, we will once again need your help contacting lawmakers on the new legislation. Be sure to keep an eye out for correspondence containing our plan of action for members and supporters. In the meantime, we encourage you to continue purchasing suppressors and keep funding the industry so that we can make the final push to get this historic legislation across the finish line. On April 29th, Representative Chris Stewart (R-UT) introduced the Suppressor Export Act of 2016 (H.R. 5135), which would require the State Department to allow the exportation of American made suppressors for commercial use to friendly foreign nations that currently allow civilian ownership of suppressors. Rep. Stewart’s Suppressor Export Act will give American manufacturers the opportunity to compete in established foreign marketplaces for the first time. When enacted, this common-sense legislation will create new manufacturing jobs within the fastest growing segment of the American firearms industry. The ASA will continue working to move this legislation forward in 2017. In addition, we will work with the NRA and the National Shooting Sports Foundation (NSSF) to petition the Trump Administration to complete the President’s Export Control Reform, a measure that would move sporting firearms and accessories from the jurisdiction of the State Department to the less restrictive purview of the Commerce Department where firearms like sporting shotguns are currently regulated. The implementation of ATF Rule 41F brought a significant change to NFA paperwork by adding background check requirements for all trustees during the transfer process. This was certainly not a perfect, or welcomed change to the process, but the implementation of 41F did bring an end to the onerous Chief Law Enforcement Officer (CLEO) signature process, which was used by many jurisdictions as a de-facto ban on NFA ownership. Hunters and warfighters have one thing in common: they don’t like wearing earplugs. Their rationale is simple; traditional hearing protection devices hinder their ability to hear their surroundings. In the field, it can mean the difference between a successful and an unsuccessful hunt. In combat, it can mean the difference between life and death. We send our warfighters overseas with earplugs that we know they’re not going to use, and act surprised when they return with hearing related injuries. In reality, it should come as no surprise that tinnitus and noise-induced hearing loss are the VA’s top two disability claims, conservatively costing taxpayers over two billion dollars annually. Every year, that number grows. We understand that small arms fire isn’t the only injury inducing noise source on the battlefield, but it is by far the most frequently encountered. Suppressors are the only tool that will mitigate any such noise at the source, greatly reducing the risk for permanent injury, while simultaneously preserving our warfighters auditory situational awareness in an engagement. For this reason, we believe that every firearm in our military’s arsenal should be suppressed. We owe it to our warfighters to do everything that we can to make sure that they return home safely without any permanent injuries. In regards to hearing, we have failed them thus far. From a monetary standpoint, we have a fiduciary responsibility to our taxpayers to be good stewards of their money. The initial cost to outfit our warfighters with suppressors will be far less that the long term cost of treating their injuries for life. Like any association, we are only as strong as our members. Simply put, the more people we have involved, the more effective we will be. This year, our overall membership has grown nearly 70%, making us a much more formidable political force going in to the new year. We are humbled by the significant growth in our membership base, and hope to continue the upward trend by doubling the number of members involved in the ASA in 2017. This is where we need your help. If you would like to see more pro-suppressor gains next year, please encourage your friends, fellow shooters, and suppressor dealers to join and lend their voice to our organization. The more individuals and businesses we have involved, the higher the likelihood of passing the Hearing Protection Act will be. We currently have 104 dealer members across the country. By the end of 2017, we would like to have 300 dealers actively involved, and over 500 dealers by the end of 2018. If your favorite Class III dealer is not yet an ASA dealer member, we encourage you to reach out to them and ask them to join. Let them know that you will support the businesses that support your rights! Following the election, the ASA set a bold goal to raise $100,000 through new memberships and donations by Inauguration Day. This money will go directly toward our lobbying efforts, helping to keep our staff on the road to work the issues in the upcoming legislative session. At the time of this article, we have raised just over $35,000, roughly one third of our goal. With nearly one month to go before inauguration, we still have $65,000 to raise to meet our goal. With your help, we will get there! On December 15th, Michael Williams, General Counsel of the ASA, accepted a position with the 58th Presidential Inaugural Committee’s legal team. Michael has been an instrumental part of our association for over two years, successfully lobbying on both the State and Federal levels. Perhaps his most noteworthy achievement during his tenure with the ASA was serving as the lead author of the text of the Hearing Protection Act, which took nearly 6 months of back and forth with Congressional Legislative Counsel to finalize. While Michael leaves big shoes to fill at the ASA, we support him wholeheartedly, and wish him well in his new endeavor. Lastly, we would like to take a moment to thank all of our sponsors. These are the companies that are helping win the fight for your right to shoot suppressed. We would like to again recognize our sponsors in 2016: AAC, AR15.com, Barrett, Blackhawk!, Dakota Silencer, DRD Tactical, Gemtech, Liberty Suppressors, Lipsey’s, Magpul, Orchid Advisors, Ruger, RSR Group, Sig Sauer, Tactical Solutions, Thunder Beast Arms Corporation, TNVC, and United Sporting Companies / Ellett Brothers. We would also like to acknowledge those sponsors that are new or have recommitted to supporting the ASA for 2017: AcuSport, Backup Tactical, B&H Police Supply, CGS Group, Daniel Defense, DRD Tactical, Legal Manufacturing, POF-USA, SilencerCo, Silencer Shop, Tactical Solutions, Vortex Optics, and YHM.